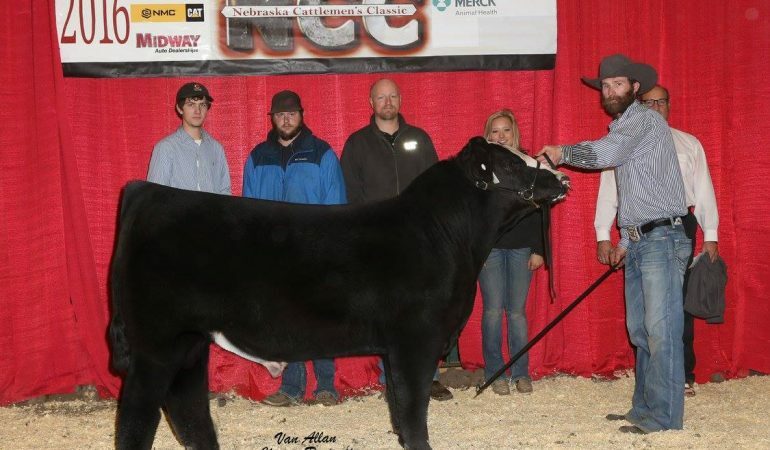 High Selling Bull/Grand Champion Bull: Lot 30. Consigned and sold by Blind Badger Ranch, Fort Morgan, CO. Purchased by Robert Barney, Watonga, OK for $13,000.